At Aimee Strunk Real Estate, consumer awareness is at the forefront of what we do. We know that selling a home is not always easy. Buying a home should not have to be stressful. We believe knowledge is power. We like consumers to be as informed as they can be, before making a choice. Lynn Strunk, founder of our brokerage in 1985, was often playfully accused of preferring to “make a friend, rather than a sale.” Of course, assisting consumers in the sale, lease, and/or purchase of homes and businesses is what we do for a living. Our goal is to “move people,” but not at the expense of what is in their best interests. We all need a home to live and/or work in. We hope you make Aimee Strunk Real Estate your choice when you are ready to transition your home. Our team of agents have strong spheres of influence in our communities, and are committed to what they do. 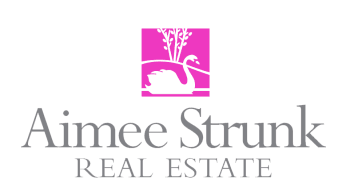 Aimee Strunk Real Estate, Inc. is located in the heart of historic Kinderhook Village. The roots of Kinderhook Village date back to the 1600’s, with original Dutch settlers. The Village boasts quaint architecture, charming eateries, a fabulous hair salon, ever growing library, the Jack Shainman Gallery, Columbia County Historical Society, James Vanderpoel House, peaceful orchards and more. The boundaries beyond the Village, include the town of Kinderhook, Valatie, Stuyvesant, Chatham, Hudson and more. Within that expansive area we call Columbia County, one can find numerous cultural offerings, restaurants, garden markets,antiques, professional resources, and the list goes on. Columbia County is located in the Hudson Valley, just 2-½ hours north of New York City. Aimee Strunk Real Estate has a team of agents willing to extend themselves beyond the county. We pride ourselves on our resources and relationships with our colleagues. If we can’t serve you to the best of our abilities, in the area you want to be in, we have a great source of brokers to refer you to.